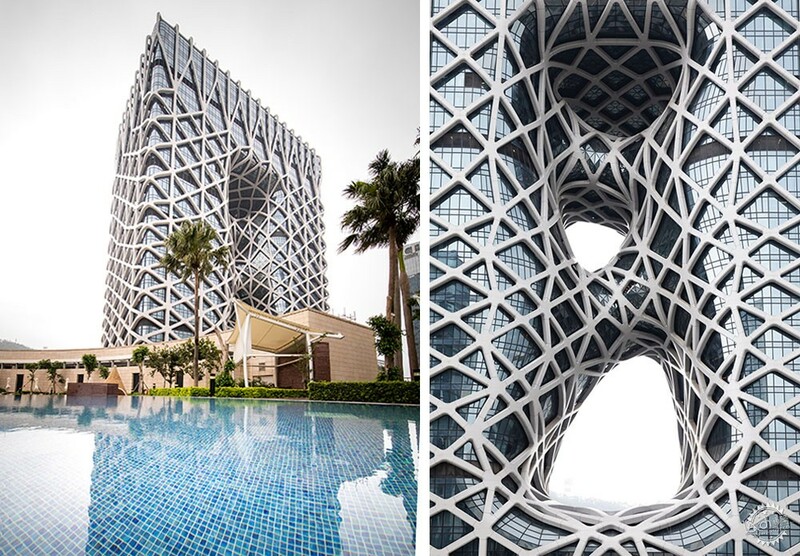 Three holes punctuate the twisting geometric facade of the Morpheus hotel in Macau, China, designed by Zaha Hadid Architects, which opens today, 15 June 2018. 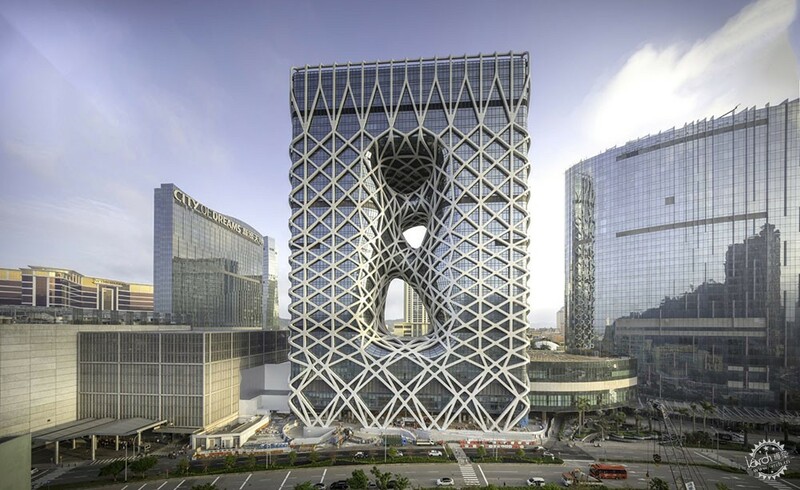 According to ZHA, the building is the "world's first free-form high-rise exoskeleton", with its structural geometric grid negating the need for internal walls or columns that would clutter the hotel's interior. 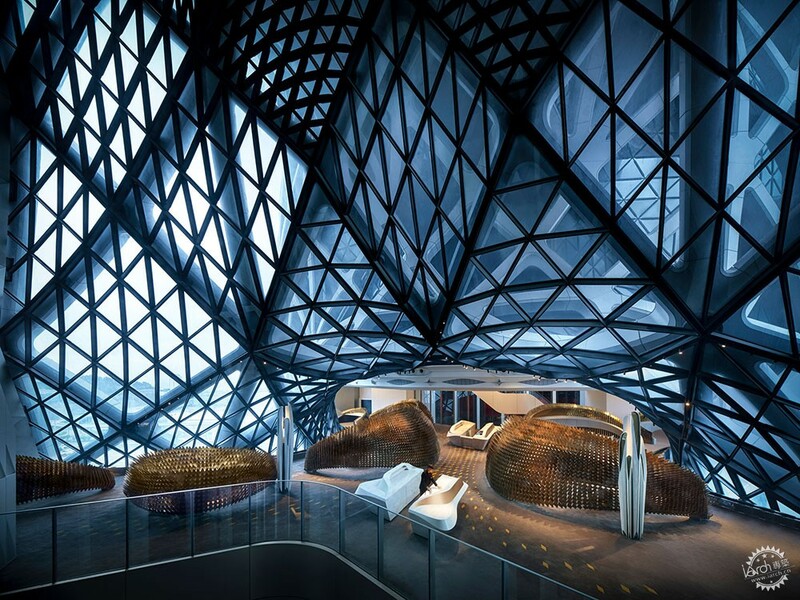 "Morpheus combines its optimal arrangement with structural integrity and sculptural form," said Viviana Muscettola, ZHA's project director. "The design is intriguing as it makes no reference to traditional architectural typologies." 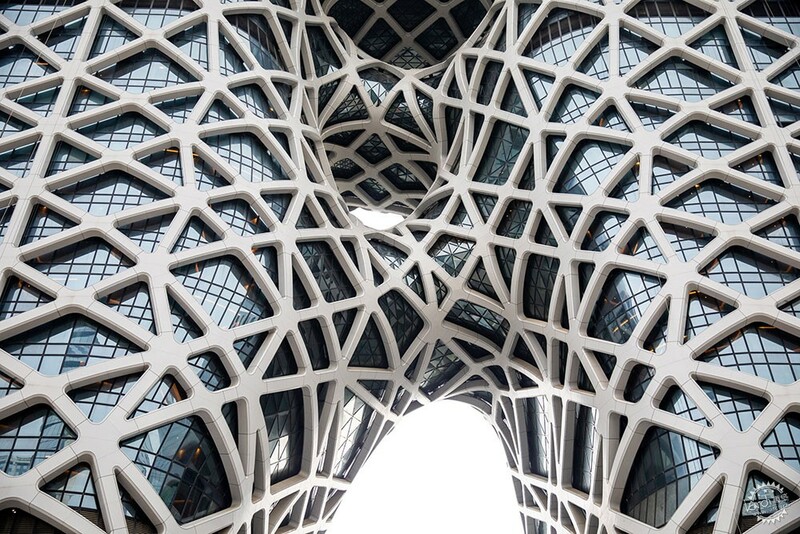 "Macau's buildings have previously referenced architecture styles from around the world," she continued. 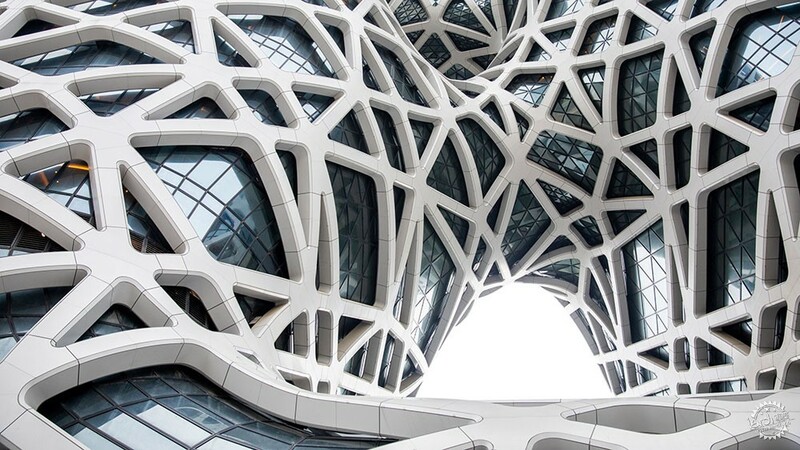 "Morpheus has evolved from its unique environment and site conditions as a new architecture, expressly of this city." 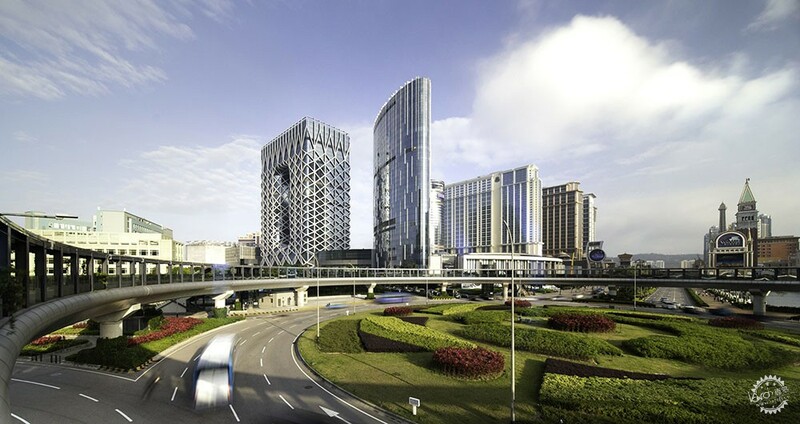 When ZHA was brought on to the project in 2012, the site already had existing foundations for an unbuilt tower. 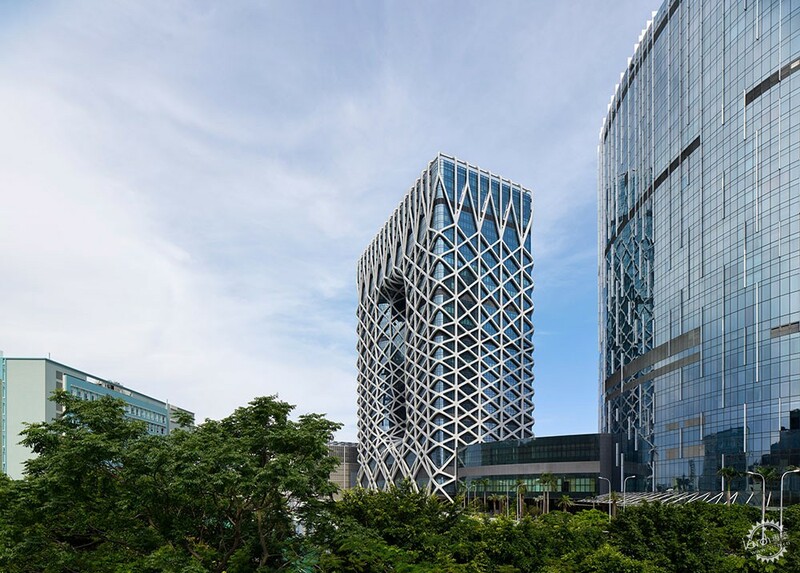 Using the existing foundations, the architects designed a 40-storey building formed of two circulation cores that connect at the base via a podium, separate, then merge again at rooftop level. Voids carved into the rectangular block form windows that frame views of the city in a design that was, according to the architects, informed by traditional Chinese jade carving techniques that produce fluid forms from hard minerals. An atrium runs the height of the hotel between these two towers, and the hotel's restaurant lounges and bars are located on bridges running through this central void. 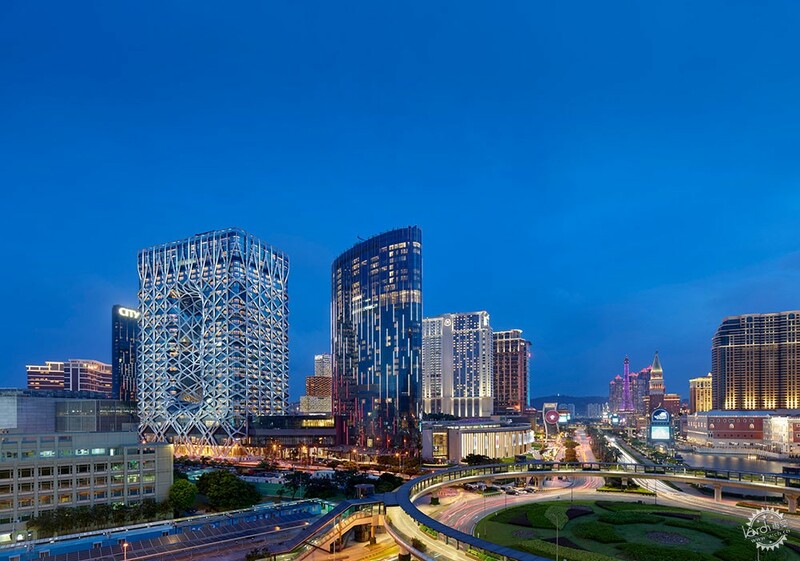 Twelve glass elevators run through the Morpheus, giving guests panoramic views of the hotel's sculptural interiors and Macau spreading out below. 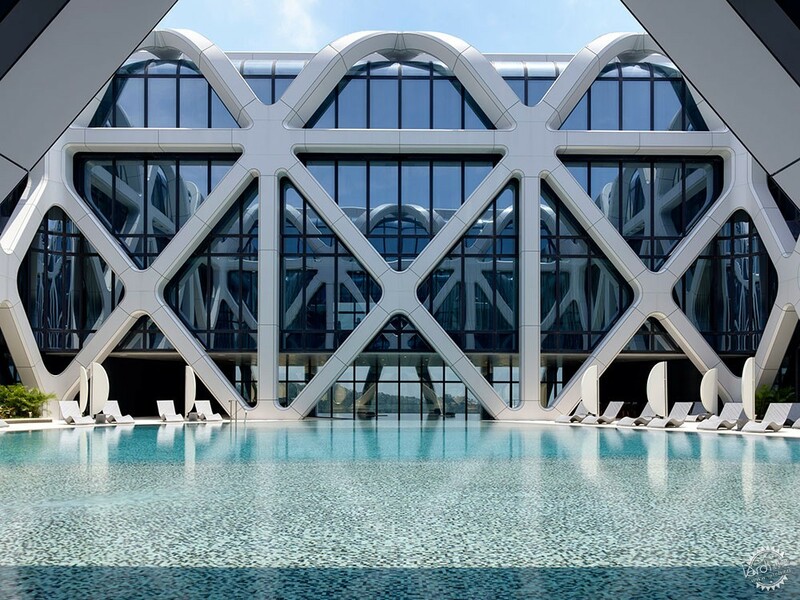 The rippling in the building's shape caused by the three holes in the glazing connecting the north and south facades also creates unique spaces within the building. Corner suites have views of both the internal atrium and the city beyond, with the design maximising the number of rooms with external views. 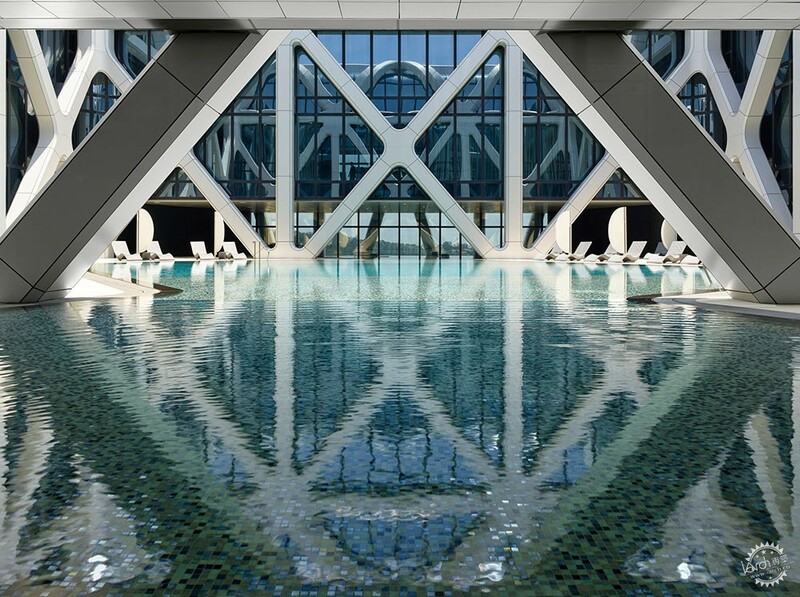 There are a total of 770 guest rooms, suites and sky villas in the hotel, along with a rooftop spa and pool. High performance glazing minimises solar gain, and the ridging of the exoskeleton is provides shading. 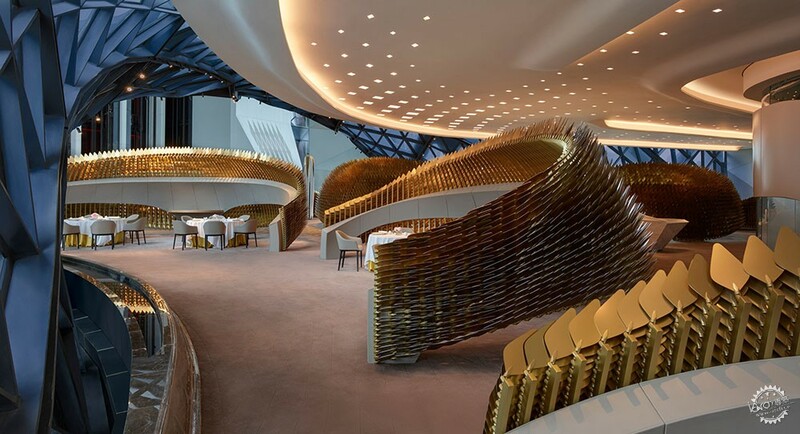 Rather than cool the whole atrium, only the zones used by staff and guests such as the lounges and restaurants have localised air conditioning. 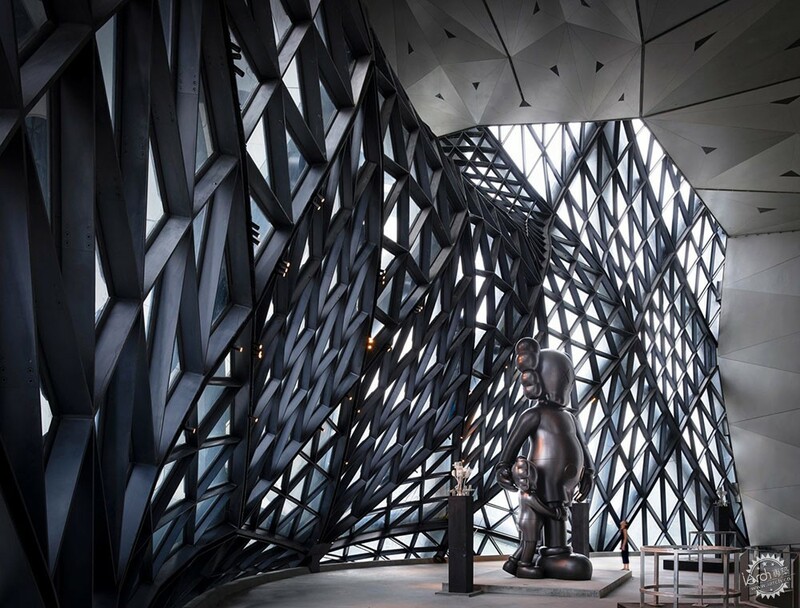 The Morpheus is part of the City of Dreams in Macau, an "integrated entertainment" resort owned by developers Melco Resorts and Entertainment. Along with hotels, the resort features dining and shopping locations and a casino. 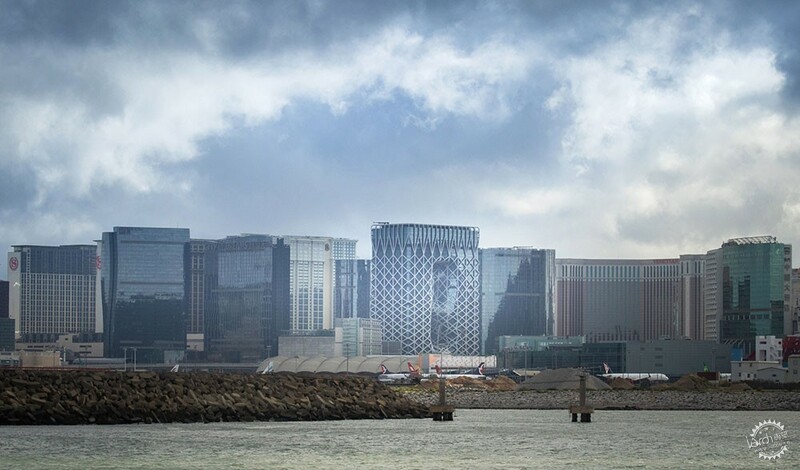 Macau's casinos and malls are preparing for an influx of visitors this summer when the long-awaited 55-kilometre Hong Kong-Zhuhai-Macau Bridge connects the resort city with Hong Kong and the mainland. 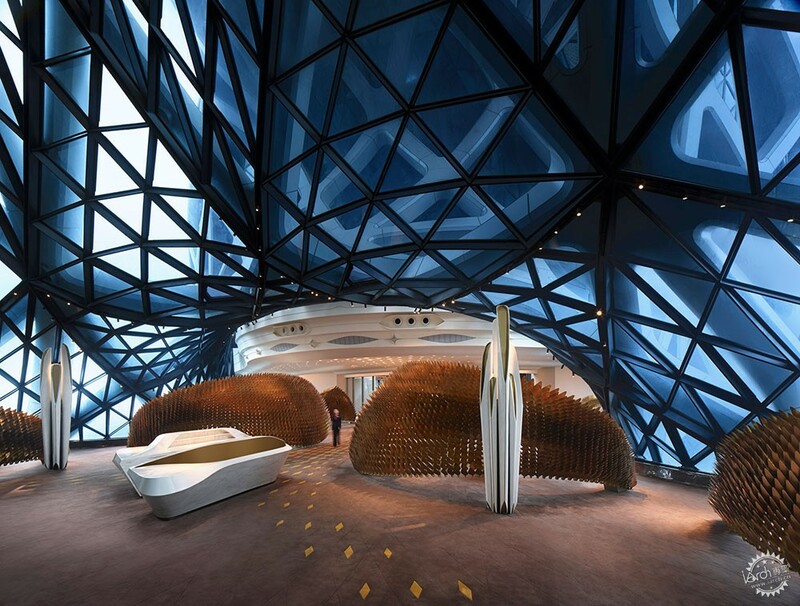 ZHA recently completed a 170-metre-tall twisting tower in residential tower in Milan, and it's first project in New York City: an apartment block with curving steel bands and rounded glass corners. Exterior photographs are by Ivan Dupont. Interior photographs are by Virgile Simon Bertrand.